In March, the AGRICURB team carried out fieldwork in Morocco, accompanied by colleagues Professor Mohammed Ater and Dr Younes Hmimsa from the Université Abdelmalek Essaâdi, Tétouan. 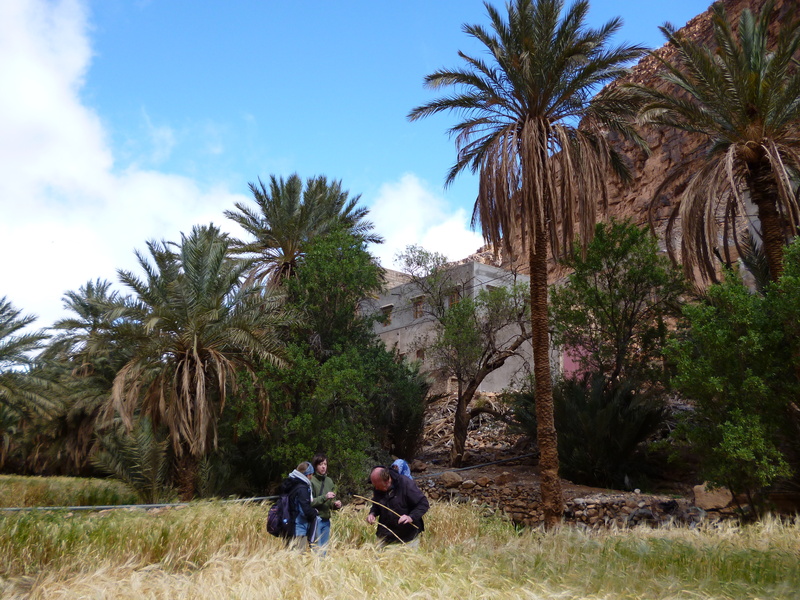 The team spent 10 days travelling through Morocco and conducting weed and crop isotope surveys of organic cereal fields managed under different agronomic regimes, from highly intensive oasis ‘gardens’ to extensively managed fields. The Moroccan fieldwork offers us a range of agronomic regimes across a contrasting set of climatic conditions, from the mediterranean north to the extreme aridity of the ‘portes du désert’ in the south. This range of agronomic practices under semi-arid to arid conditions is directly relevant to our archaeological sites in the Aegean, such as Knossos, and in south-west Asia, such as Tell Brak. 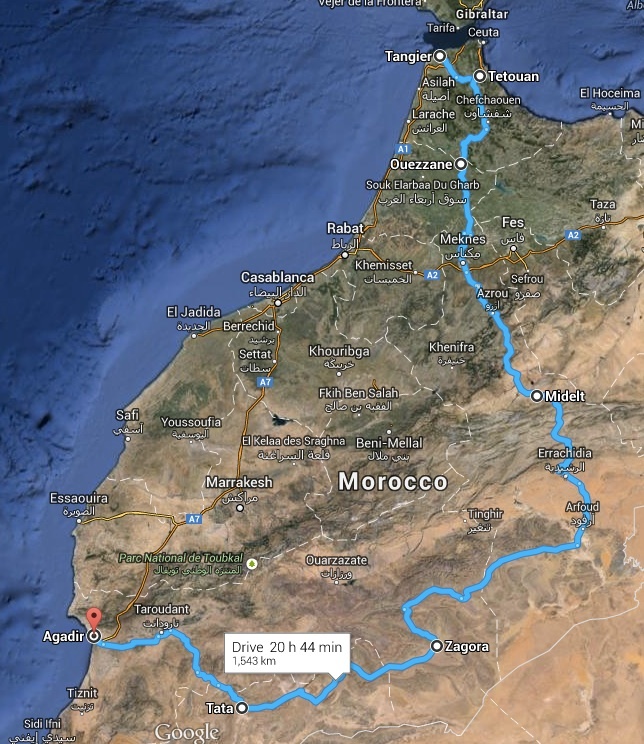 The first stop was the Rif region in the north of Morocco, where we assessed the potential for a return trip in late May when the crops are ripe (more about this soon…). This was followed by a drive through the High Atlas region, with stops en-route to see intensive high-altitude alluvial cereal farming, watered by the spring snow melt, and down towards Tata, where opportunistic floodplain cultivation is practiced on the rare occasions that rain falls in this otherwise desert-like landscape. The final goal was to visit oases in the south of Morocco, around Tata and further to the west, where the permanent groundwater supply allows intensive cereal farming in the shade of date palms. These permanently irrigated, intensively manured and hand-worked fields contrast with rain-fed, extensively managed terrace agriculture practiced on the southern slopes of the Anti-Atlas Mountains nearby. In all of these regions, ecological analysis of the weed surveys combined with stable carbon and nitrogen isotope analysis of crop samples collected here will enable us to assess the impact of varying agronomic practices under (semi-)arid conditions, and improve our ability to recognize such cultivation practices in the archaeological record.